Be in full compliance with Philippine law! You must have an ongoing ticket or throwaway ticket and you can get a cheap one from us! We can save you hundreds or even thousands of dollars! Let us help you get a Cheap Throwaway Ticket! If you are traveling to the Philippines, depending on your visa type, you may need an ongoing ticket! For most travelers, they cannot enter the Philippines with only a one-way ticket. Don't worry, though, we can help you solve this problem cheaply! What is a “throwaway” ticket? Never heard of a throwaway ticket? Why would you throw away an airline ticket? Well, read on and I will explain! An airline ticket that is a throwaway ticket is just what the name implies… a ticket that you will simply throw away. If you are traveling to the Philippines, depending on your visa type, you are required to have an ongoing ticket when you arrive in the Philippines. You need some ticket, whether you intend to leave or not. This is where the throwaway ticket comes into play. There are a number of budget airlines that usually fly from Clark Airport in Pampanga or other airports in the Philippines. These budget carriers often offer tickets to Thailand, Hong Kong, Vietnam and such for as low as $20 or $35. It is relatively easy to find a throwaway ticket for $50 or less. This is a valid airline ticket that will indeed allow you to go to the destination that is printed on the ticket. But, for most folks who come to the Philippines and want to stay longer than 59 days, they simply buy this cheap ticket, and they use it to show to the immigration officials when they arrive in Manila (or any port of entry in the Philippines). Showing that they indeed have a ticket allows them to enter the country. There is no law, though, saying that you must use your ongoing airline ticket. So, for many people, after they have shown this ticket and been granted entry to the Philippines, they just throw the ticket away and go on with their stay in the Philippines. Philippine Immigration will never require you to show your ongoing ticket again after you have been admitted to the country. If you go to renew your visa or do any other business at the Immigration office, no ongoing ticket is required and none will be asked for. Do you need an ongoing ticket? Read here to find out if you will need one! Am I required to have a round trip ticket? Do you need a Round-Trip Ticket to come to the Philippines? Everybody seems to think that you need a round-trip airplane ticket when you come to the Philippines. Truth is, there is no such law requiring a round-trip ticket. There is a law that, for most passengers arriving n the Philippines, they need an ongoing ticket. An ongoing ticket and a round trip ticket are two different things. A round-trip ticket (in some countries they call it a return ticket) is an airplane ticket that will take you to your destination, along with another ticket that will bring you back to the place where you started. So, for example, if you purchase tickets that will take you from Los Angeles to Manila, then at a later date will bring you back to Los Angeles, that is a round trip ticket. A one-way ticket is an airline ticket that takes you from your origin to your destination, with no other flights beyond your destination. So, for example, if you purchase a ticket that will take you from Los Angeles to Manila, and will not take you to any destinations beyond Manila, that is a one-way ticket. 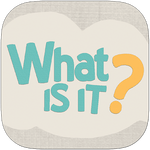 An ongoing ticket is an airline ticket that takes you from your origin to a destination, then takes you to another destination, but not back to your origin. So, for example, if you purchase an airline ticket that takes you from Los Angeles to Manila, then another ticket that takes you from Manila to Hong Kong, that ticket from Manila to Hong Kong is an ongoing ticket. No matter when the flight to Hong Kong is, it is an ongoing ticket, it need not be immediately after landing in Manila. Generally speaking, if you are going to take a vacation to the Philippines unless you are on a Balikbayan Visa or a Resident Visa when you arrive in the Philippines, you are required to have an ongoing ticket within 59 days of your arrival in the Philippines. Since it is a requirement for an ongoing ticket, there is no requirement on where it goes to, as long as the ticket takes you to some country outside the Philippines. This ongoing ticket must be for travel no longer than 59 days after you arrive in the Philippines. So, if you are going home to where you came from, within 59 days, you should purchase a round-trip ticket, that would be best for you. If you are going back home, but it is beyond 59 days after your arrival, the best thing you could do is to purchase a one-way ticket to the Philippines and a “throwaway” cheap ticket to a country near to the Philippines. The throwaway ticket should be dated for travel within 59 days of your arrival in the Philippines. The term “throwaway ticket” will be discussed later in this book. If you are intending to come to the Philippines to stay forever, but you don’t have some type of resident visa and are not eligible for a Balikbayan visa, then your best route would be to purchase a one way ticket to the Philippines and a throwaway ticket that is dated for travel sometime within 59 days of your Philippine arrival. Whatever your plan, you should always enter the Philippines with an ongoing ticket to somewhere, either a place where you are actually going within 59 days of your arrival or a throwaway ticket to anywhere. If you have these things in hand, you will have no hassles entering the Philippines. Let us get you a cheap throwaway ticket! Instead of a round-trip ticket, or an expensive ticket to a faraway place, you can get a "throwaway ticket". Don't know what a Throwaway Ticket is? Learn about it here. So, do you want us to help you find a cheap throwaway ticket? If so, we will be happy to help you! Go here to sign up for our service! Who Needs an Ongoing Ticket? For anybody traveling to the Philippines, depending on your Visa type, you might need an “ongoing ticket” upon arrival. Don’t understand what an “ongoing ticket” is, read here to get a full explanation! Check Visa types below and read the information, which will tell you if an ongoing ticket is required. A Tourist Visa Waiver means that you are traveling to the Philippines without any visa at all. For residents of most countries, a visa is not required to enter the Philippines. You must only show your passport from (issued by a country that is included in the Visa Waiver program) and you will be issued a Visa Waiver which will allow you to stay in the Philippines for 30 Days visa-free. If you plan to stay longer than 30 Days that is OK, but you will need to extend your Visa Waiver each time that it is about to expire. You can stay in the Philippines for up to 3 years on a Visa Waiver. If you are entering the Philippines and will use the Visa Waiver Program, you are required to have an ongoing ticket that will transport you to a place outside the Philippines. The ongoing ticket must be for travel within 59 days of your arrival in the Philippines. If you have obtained a Tourist Visa from a foreign Philippine Embassy or Consulate and will be traveling to the Philippines using that visa, you are required to have an ongoing ticket that will transport you to a place outside the Philippines. The ongoing ticket must be for travel within 59 days of your arrival in the Philippines. The Balikbayan Privilege (often called a Balikbayan Visa) is a special program that may be used by former citizens of the Philippines. The Balikbayan Privilege may also be issued to Spouses and Children of former and/or current Philippine Citizens. In other words, if your spouse is a Philippine citizen you may obtain the Balikbayan Privilege, but only if your spouse is traveling with you when you enter the Philippines. If you are a minor and one of your parents is a Philippine Citizen and is traveling with you, you are eligible to receive the Balikbayan Privilege. If you are entering the Philippines and intend to avail of the Balikbayan Privilege you are not required to have an ongoing ticket. If the airline tells you that you must have an ongoing ticket they are incorrect, although this is a common error by the airlines because they do not understand the policy. If this happens, ask to speak to an airline supervisor and tell them to check Philippine Immigration policies (on their computer) and look specifically at the Balikbayan Privilege information. The SRRV is the Special Resident Retiree’s Visa. It is a visa that is for retirees in the Philippines. The SRRV is obtained through a detailed application process. If you are not sure whether you have an SRRV, then don’t be concerned, because you don’t have one. If you went through the application process, you would know it. If you are entering the Philippines and you are an SRRV holder you are not required to have an ongoing ticket. You should have an SRRV ID Card that you can show upon entry, and no ongoing ticket will be requested. If the airline tells you that you must have an ongoing ticket they are incorrect, although this is a common error by the airlines because they do not understand the policy. If this happens, ask to speak to an airline supervisor and tell them to check Philippine Immigration policies (on their computer) and look specifically at the SRRV information. 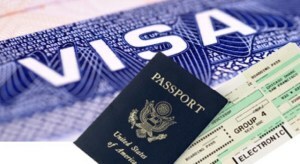 The 13 Series of Resident Visas includes multiple different resident visas, but the most common are the 13A Visa and the 13G Visa. The 13A is for spouses of Philippine Citizens. The 13G is for spouses of former Philippine Citizens. If you are entering the Philippines and you are a holder of a 13 Series Resident Visa you are not required to have an ongoing ticket. You should have an ACR I-Card that you can show upon entry, and no ongoing ticket will be requested. If the airline tells you that you must have an ongoing ticket they are incorrect, although this is a common error by the airlines because they do not understand the policy. If this happens, ask to speak to an airline supervisor and tell them to check Philippine Immigration policies (on their computer) and look specifically at the Resident Visa information. Let us get you a cheap throwaway ticket! If you are looking for a throwaway ticket and are having a hard time finding a cheap one, let us help you! We can often find throwaway tickets in the price range of $30 to $40, sometimes even less! If we can find you an acceptable throwaway ticket our charge to you is $20. Fill out the form below. We will search and find you the cheapest options for throwaway tickets during your stay. We will email you with multiple options, and it is up to you to make the purchase. 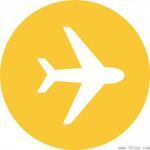 We will provide links to the airline site where you can purchase the cheap tickets. When will you be coming to the Philippines? What type of visa will you have to enter the Philippines?